Right now the Cleveland Cavaliers are battling the visiting New Jersey Nets. The Cavs are down 7 in the 4th with a little over 2 minutes left. For those of us that know the NBA, it's GO TIME. **** Photos are courtesy of Carm Olaes. 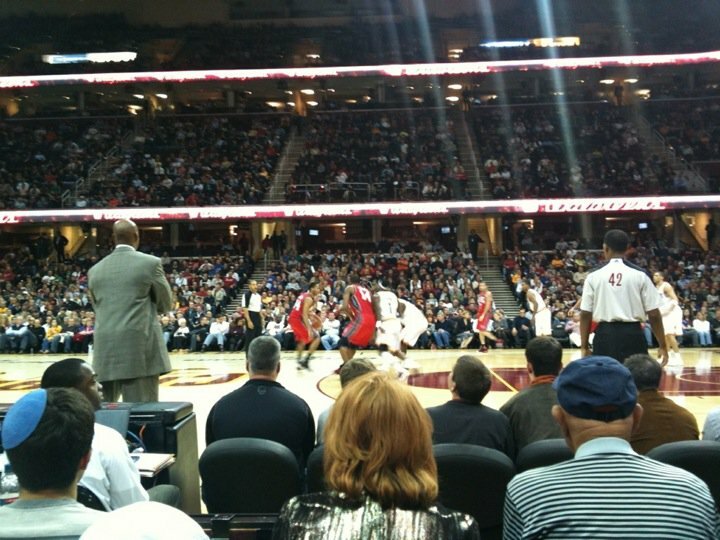 Once my former boss, Carm, texted me that he was at the Quicken Loans Arena watching the Cavs game, I requested some pictures. I haven't been back to the arena yet, this year and wanted to "see" what I was missing. It's great to see that there's a good sized crowd out supporting the Cavs! As I was typing this post, the Cavs ended up losing to the Nets with a score of 95-87. 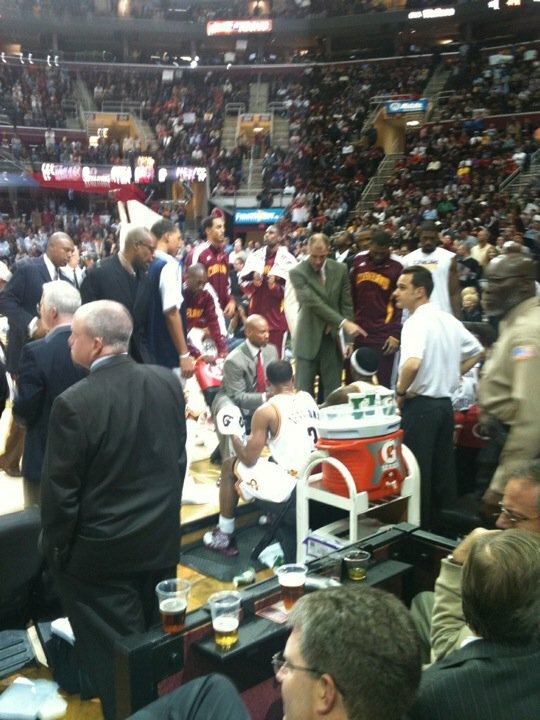 The outcome might have been different had Mo Williams not left the game injured. Let's hope, Mo returns to the line-up soon. I'm not going to speculate as to his injury, since it seems as though the folks in Cleveland are confused. I predict that the Cavs win at least 40 games this year. Some of you might think that's optimistic, but what can I say... I have to have faith, and I like the fact that the Cavs have a proven winner, Byron Scott, as their coach.